I can’t decide if Segways are the nerdiest thing ever or the coolest thing on the planet. Every time I see a Cast Member in their pressed khakis and crisp white shirt effortlessly whizz past me on their uber-cool Segway, I think, “Wow, I want to do that!” But trust me, there’s no possible way to look cool while riding a Segway at Walt Disney World, unless you are a Cast Member. The geek quotient is super high when you’re decked out in a bicycle helmet with a listening device hanging around your neck and toggled to your ear – especially when you’re riding at a snail’s pace in a row with nine other people dressed the same. Throw in a pair of nerdy camera glasses and well, let’s just say I’m glad I’m not looking for a date! 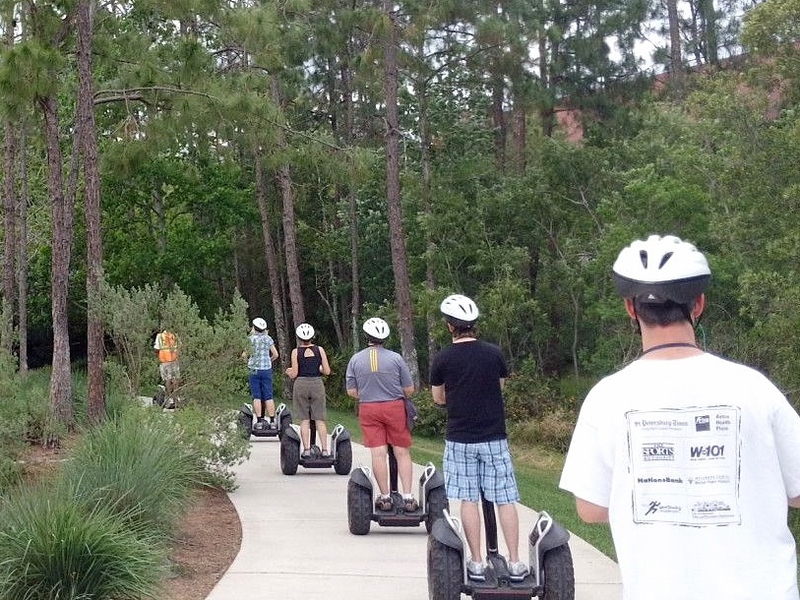 But who cares… Segways are fun! 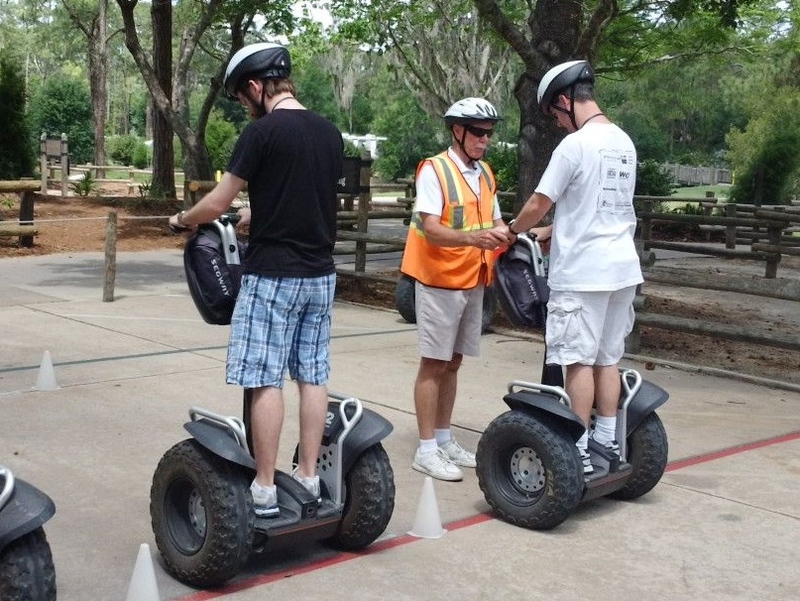 Over the years, Disney has offered several different Segway tours. Probably the most popular tour was Around the World at Epcot, which was discontinued earlier this year. 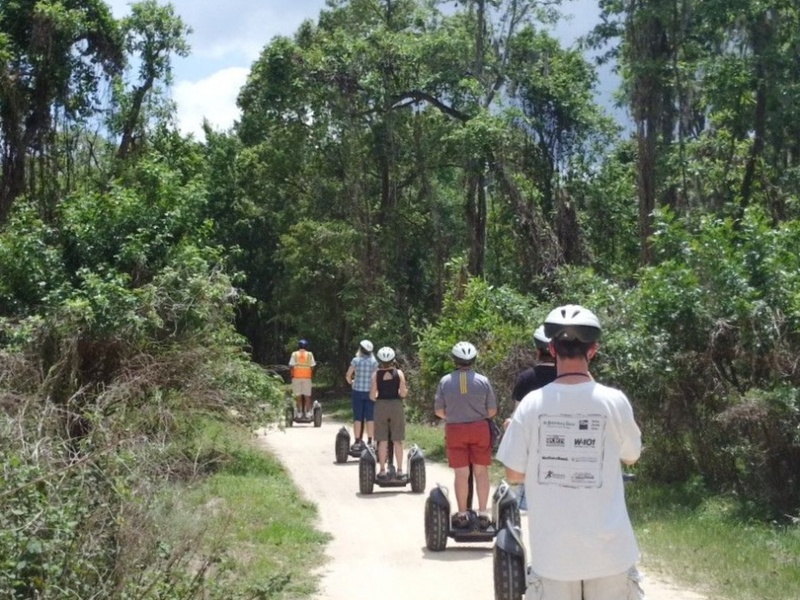 Currently, there is only one Segway tour offered at Walt Disney World – the Wilderness Back Trail Adventure. In April I went on this tour for the second time. The Wilderness Back Trail Adventure tour begins at the Bike Barn at Fort Wilderness. After signing a release form, tour guests are shown a video and given some safety instructions by the tour guides. Next we were offered a bottle of water and a locked place to store items that would not fit in the bag on our Segway. From here we moved around to a small training area behind the Bike Barn. Our Segways were waiting for us next to a course with a lot of plastic cones. For the next 30 or so minutes we practiced getting on and off, moving forward and backward and up and down, spinning around, turning and stopping. Once our instructors were satisfied that we could safely ride our two wheeled transports, we hit the road. The really great thing about this tour is the amount of time you get to spend actually riding the Segway. The tour is about 2 hours long, including the training time. After about 20 minutes of riding it’s good to get off and exercise your legs a bit so they don’t cramp up or fall asleep. We had a couple opportunities to do this. 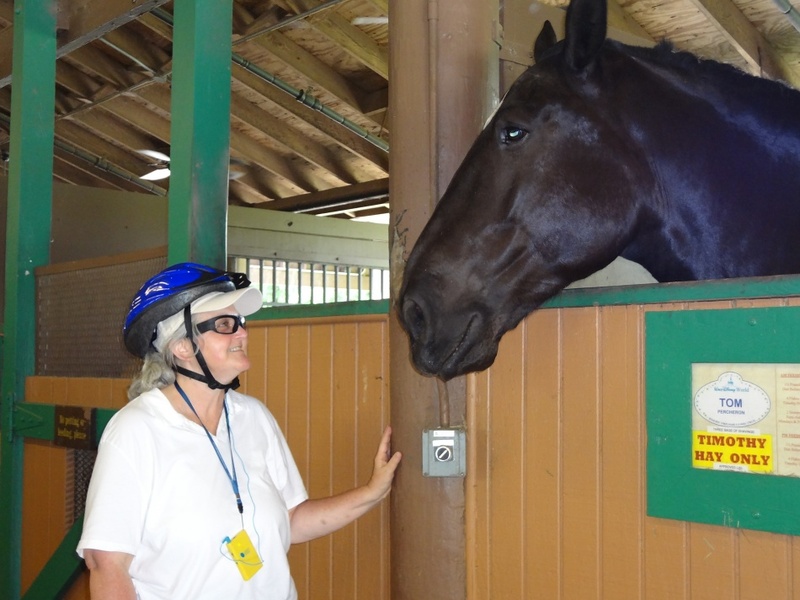 The first resting place was at the Tri-Circle-D Ranch where I made friends with a couple of the horses. They seemed really intrigued by my glasses. 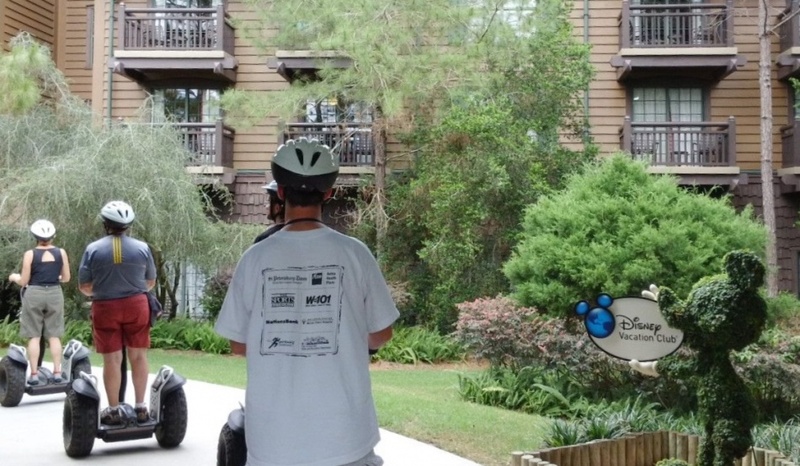 On the tour, you ride through Fort Wilderness over to Wilderness Lodge on the jogging path, past the Villas at Wilderness Lodge and then back to Fort Wilderness via the nature trail along Bay Lake. It’s a very pleasant ride through some of Disney’s more natural areas. We didn’t see any wildlife that day but I have read reports that some people have seen deer while on this tour. Although I did make fun of the listening devices at the beginning of this post, they were actually great to have. It was easy to hear our guide Ron share interesting tidbits of information and Disney trivia, not to mention his very corny jokes. 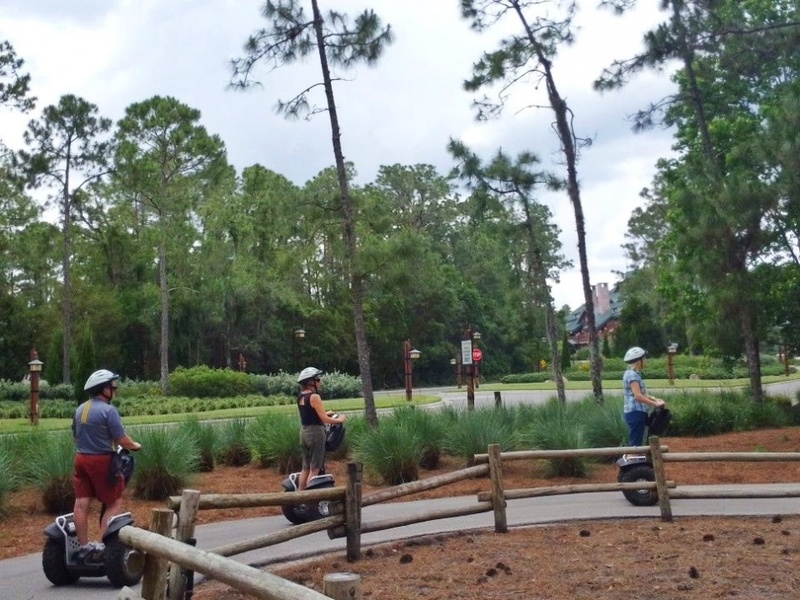 I don’t really know why they have cancelled the Segway tours that were offered at Epcot. In fact, I’d love it if they brought them back and I’m sure many others would too. Hopefully, this one is not on the chopping block as well. Just in case though, if you think you might like to geek out and give it a try, I might not put it off. Wilderness Back Trail Adventure is offered daily, Tuesday through Saturday, at 8:30 and 11:30 am. Disney asks that you arrive 15 minutes before the start of the tour. If you book the 8:30 tour, you’ll need to provide your own transportation to Fort Wilderness because the busses don’t run that early. For the 11:30 tour you can take Disney transportation from a theme park or Downtown Disney to Fort Wilderness. Once there, you’ll need about 20 minutes to get from the parking lot/drop off area to the Bike Barn. Allow plenty of time because if you’re late you cannot take the tour and you won’t get your money back. Speaking of money, the cost of the tour is $95.85 (including tax) – not a bad deal since you don’t have to also pay for admission to a park. 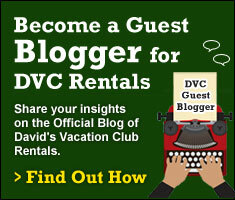 There is a 15% discount for Passholders, DVC Members and for Guests with a AAA Vacation Diamond card. There is a 48-hour cancellation policy in order to receive a full refund. Riders must be at least 16 years old and weigh 100 to 250 pounds to participate. Disney provides those lovely helmets to wear, which are mandatory. I recommend making a real fashion statement by adding a baseball cap under the helmet to shade your eyes. Expectant mothers may not participate in the tour. 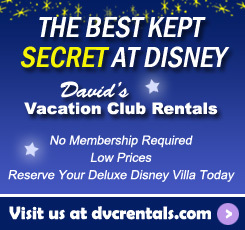 Guests can call 407-939-8687 (407-WDW-TOUR) for more information or reservations. They do take walk-ups and same day reservations if there is space, but you must go to the Bike Barn to find out/sign up. They can’t do same day reservations over the phone. Here’s a short video that shows a small part of this tour. Although, for safety reasons, Disney does not allow guests to take pictures or video tape while riding, I was able to do so and still keep both hands safely on my Segway. See, there was a good reason for wearing those incredibly attractive glasses… I did it all for you! 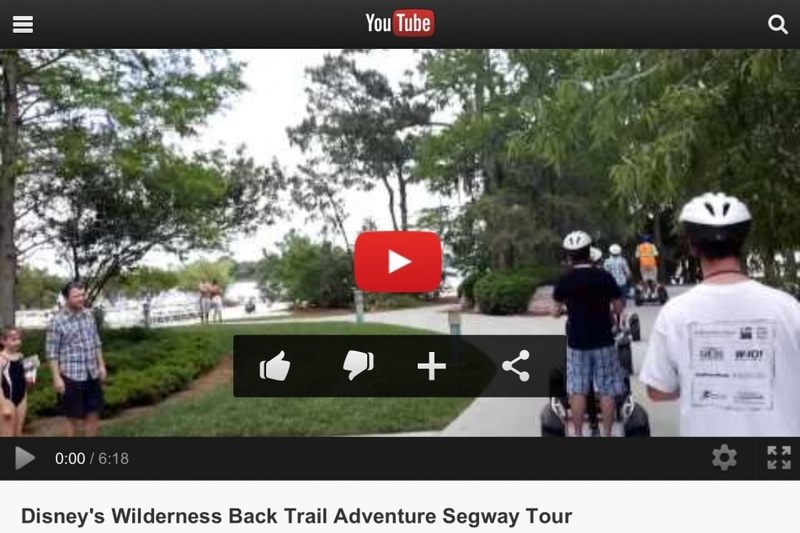 One thought on "Disney’s Wilderness Back Trail Adventure Segway Tour"